Free Shipping Included! Shop4Mailers 9 x 12 Suffocation Warning Clear Plastic Self Seal Poly Bags 1.5 Mil (1000 Pack) by Shop4Ever at Community Frontiers. MPN: warning_9x12_1000. Hurry! Limited time offer. Offer valid only while supplies last. 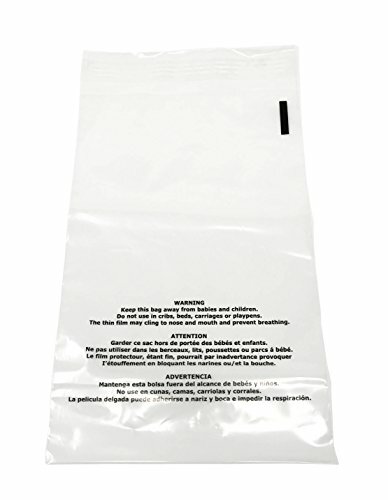 Shop4Mailers clear plastic poly bags 1.5 mil with Suffocation Warning. We are offering quality poly bags that are convenient and easy to use. Shop4Mailers clear plastic poly bags 1.5 mil with Suffocation Warning. We are offering quality poly bags that are convenient and easy to use. Suffocation Warning label translates in 3 different languages, English, French and Spanish. We have a wide selection of different poly bags for all your shipping and storage needs. Customer satisfaction guaranteed, please contact us with any questions or concerns. If you have any questions about this product by Shop4Ever, contact us by completing and submitting the form below. If you are looking for a specif part number, please include it with your message.